How many meetings is your company holding this quarter? Or, who’s booking these meetings? Are all meeting arrangers requesting the right concessions and contract clauses to drive savings and reduce risk? Are they bidding out to more than one venue to ensure competitive rates? How do bids from preferred brands compare with others? Are meetings booked within budget? And the crazy thing is many travel and meeting leaders worldwide are in the same boat. You see, in most companies, meeting planning is decentralized. Large meetings go through the central meetings and events department. Smaller meetings are planned by executive assistants, sales managers or pretty much anyone in the company who needs to call a meeting. And so a lot of the data gets misclassified as travel and entertainment expenses and scattered across business units throughout the company. Meaning: You have no way of knowing if employees are booking out of compliance and putting your company at risk. There’s no doubt about it. If you want to make informed decisions that safeguard your company, you need real-time visibility into meeting and event activity enterprise-wide. Now here’s the good news: A new generation of strategic sourcing solutions helps you access the data you need to answer vital questions in a couple of clicks. These elegant solutions provide easy on-boarding, that even occasional planners can master them in 30 minutes. Yet the technology offers advanced features travel and meeting leaders appreciate. There’s no longer a reason for failing to capture critical business intelligence. Strategic sourcing solutions compile meeting and event data automatically throughout the planning process. From meeting approval through bid evolution, negotiations and booking. Here are 5 strategies for leveraging these solutions to improve meeting and travel policy compliance. 1. Standardize meeting requests. Now, you can centralize the data without having to centralize teams. An online meeting request form gets the process started. It automates the M&E approval process, providing full transparency into requests. The technology tracks company meeting activity automatically, from request through negotiations to booking. It handles communications, too, updating stakeholders at every stage. 2. Leverage hotel brands. Analyze event spend and see which brands are working hard for your business. Meeting spend visibility is your bargaining chip. Create policies to maximize buying power with preferred vendors. Using strategic sourcing, you can easily track preferred brand compliance by user, department, division and company-wide. These solutions even present preferred brand visibility directly on the venue search screen to drive compliance seamlessly within the planner workflow. 3. Add procurement rules. Many meetings programs lose tens of thousands of dollars annually in cancellation and attrition penalties alone. To avoid penalties, create a core set of contract clauses. Then, set them to auto-populate on every eRFP created in your platform. Establish reasonable fees (say, 25% attrition up to the day of arrival). Lock them into every eRFP. Same goes for concessions. Standardize and set them to auto-populate. Also require at least three hotels on each eRPF to ensure competitive bids. 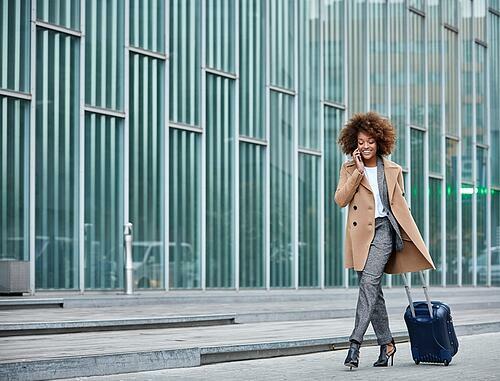 You’ll ratchet up savings and improve travel policy compliance – effortlessly. 4. Optimize collaboration. Strategic solutions provide a single portal for storing team intelligence about venues. Use robust collaboration tools to drive sound decision-making. For example, have planners share notes about venues to assist in making the best selections. Flag hotels that put the company at risk. And alert the team about unannounced renovations or cancellation credits soon to expire. 5. Satisfy duty of care. Concerns about natural disasters, pandemics and political unrest put duty of care and risk management top of mind. Today’s travel leaders need powerful tracking tools. Strategic sourcing solutions provide just that. Global calendars serve up a complete picture of all your company’s meetings and events by planning status. Drill down by meeting owner, attendees, dates, venue, location, and more. If an emergency arises, you’ll locate employees and attendees fast. In short, strategic sourcing can help you bolster travel policy compliance, boost savings, cut attrition penalties, and enhance attendee safety.